Not since the banquettes at Brasserie have I seen such a contemporary twist on the traditional booth. 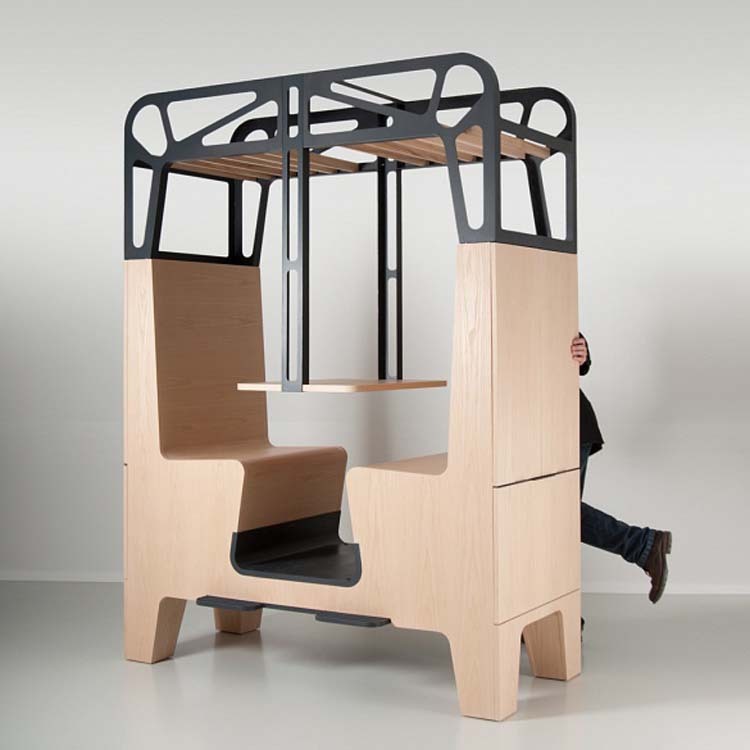 Originally designed as a fixed booth for the Fabbrica Restaurant in Bergen, Norway, Dutch designer Frank Tjepkema and his Studio Tjep have now come out with a variation for the at-home diner who wants to be transported. The wood and steel all-in-one piece called Il Treno, features two facing banquettes with hollow backs that can store all your tableware, or anything else you’d like to put in there. The piece suggests travel and promotes intimacy and romance. Fun. 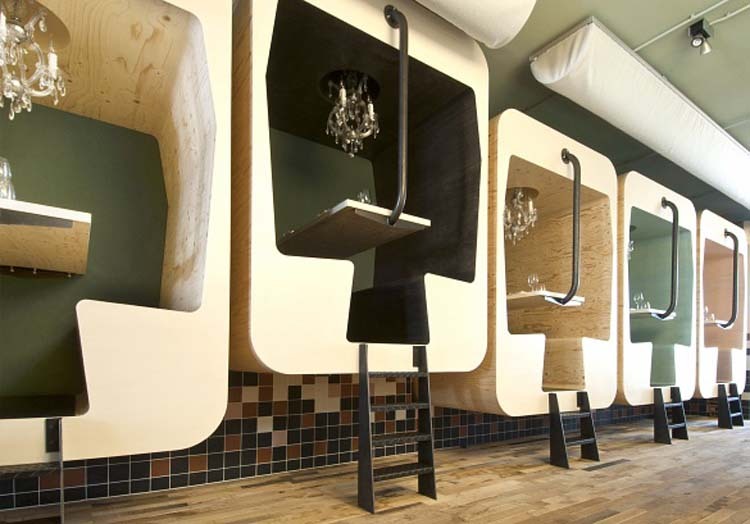 This entry was posted in Food, Fun, Industrial Design, Stuff We Like. Bookmark the permalink.